Probiotics are among the hottest supplements of 2019 and with good reason. The positive role of these “good” bacteria are being revealed in everything from digestive health to brain support on an almost-daily basis. Learn more about probiotics, prebiotics and postbiotics below, or listen to the podcast on www.LiveForeverish.com in which Life Extension’s own Michael A. Smith, MD, discusses the latest information concerning probiotics with nutrition expert Crystal Gossard, DCN, CNS, LDN. While most of us are familiar with antibiotics, not everyone knows exactly what probiotics are. While antibiotics reduce or stop the growth of bacteria, probiotics are bacteria. The difference between these bacteria and those we seek to combat with antibiotics is that probiotic microorganisms are beneficial to the body, and therefore desirable, while those we want to treat with antibiotics are, of course, potentially harmful. Probiotics colonize the intestinal tract and support gastrointestinal health, including digestion. We are learning more all the time about how they can benefit not only the GI tract, but the entire body. In fact, there are an estimated 10 times more microbial cells in the human body than human cells.1 Many of these microorganisms are the beneficial bacteria known as probiotics. Probiotic bacteria are classified by genus, species and strain. Two common genera are Lactobacillus and Bifidobacterium. Other genera include Escherichia, Enterococcus, Bacillus, Propionibacterium, Streptococcus, Pediococcus, Leuconostoc and Saccharomyces. Common Lactobacillus species are acidophilus, bulgaricus, casei, fermentum, plantarum and rhamnosus, and better-known Bifidobacterium include animalis, bifidum, breve, infantis, lactis and longum. Following these species names may be a number or letter designating the strain, as in Lactobacillus acidophilus NCFM. Yogurt is the most well-known food that contains one or more probiotic cultures. Other foods that contain probiotics include fermented products such as kimchi, miso, sauerkraut, kombucha, kefir, buttermilk, some cheeses and sourdough. Probiotics are also available in supplement form. 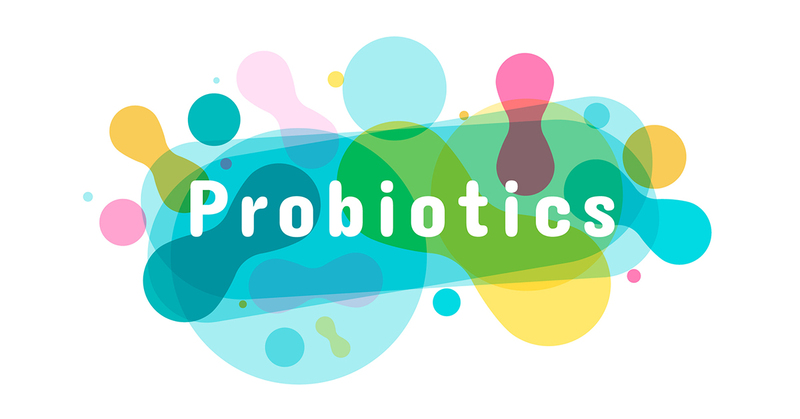 Probiotics in supplemental form are capsules, liquids or lozenges that contain concentrated amounts of probiotic bacteria. Popular probiotic species are Lactobacillus acidophilus, Lactobacillus rhamnosus, Lactobacillus bulgaricus, Bifidobacterium infantis and Bifidobacterium bifidum, among others. Many supplements contain several strains to support a specific area of concern or general well-being. Probiotics have been used around the world for many years in various forms. The legendary longevity benefits attributed to probiotic foods such as kefir might have a basis in their recently revealed health properties. While not everyone likes yogurt or sauerkraut, and kimchi may be hard to find, consuming a probiotic capsule is an easy way to encourage healthy microflora. The beneficial effect on mental states that may be associated with probiotics is facilitated by signaling between the digestive tract and the brain.4 The gut and brain communicate through the vagus nerve, endocrine signaling mediators and the immune system. It has been observed that Alzheimer’s disease and Parkinson’s disease patients have a high incidence of gastrointestinal disorders.5,6 Unfavorable alterations in gut microflora may result in greater permeability of the gut barrier, potentially leading to immune activation and systemic inflammation. This can impair the function of the blood-brain barrier, thereby causing neuroinflammation and neurodegeneration.7 Therefore, management of intestinal flora may help support brain health. Postbiotics are nonliving compounds that have a long shelf life. Among the hundreds of postbiotics are peptides and the short-chain fatty acids acetate, butyrate and propionate. What are Phages and How Do They Work? “Phages” is a short way of saying “bacteriophages,” which describes submicroscopic packages of DNA or RNA enclosed in a protein envelope that target bacteria. Certain bacteriophages selectively target specific undesirable bacteria while leaving beneficial bacteria undisturbed. Bacteriophage Probiotic: What is phage therapy? Phage therapy involves the use of bacteriophages in the treatment of bacterial infections. Phages can also be used preventively. Combining phages with probiotics may reduce the growth of undesirable bacteria, allowing the beneficial probiotic bacteria to thrive. Turnbaugh PJ et al. Nature. 2007 Oct 18;449(7164):804-10. Alarcón P et al. Rev Med Chil. 2016 Jul;144(7):910-6. Rossoni RD et al. Biofouling. 2018 Feb;34(2):212-225. Breit S et al. Front Psychiatry. 2018 Mar 13;9:44. Westfall S et al. Cell Mol Life Sci. 2017 Oct;74(20):3769-3787. Sarkar S et al. J Neuroimmunol. 2019 Mar 15;328:98-104. Kowalski K et al. J Neurogastroenterol Motil. 2019 Jan 31;25(1):48-60. Butler MI et al. Annu Rev Clin Psychol. 2019 Feb 20. Reynés B et al. Front Physiol. 2019 Jan 10;9:1908. Maguire M et al. Rev Neurosci. 2019 Jan 28;30(2):179-201. Kortright KE et al. Cell Host Microbe. 2019 Feb 13;25(2):219-232.